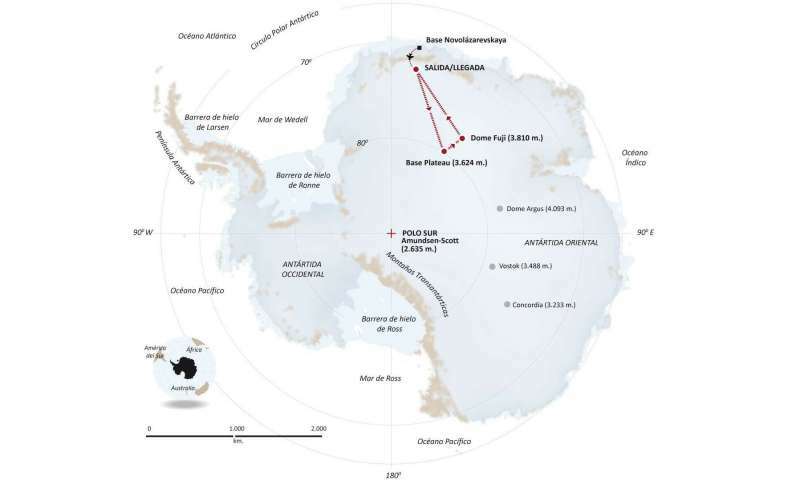 The four-person expedition left Russia's Novolazarevskaya Base on 12 December last year. For more than 40 days they made their way to Dome Fuji, a 3810-m high ice dome in Eastern Antarctica – one of the coldest places on Earth. 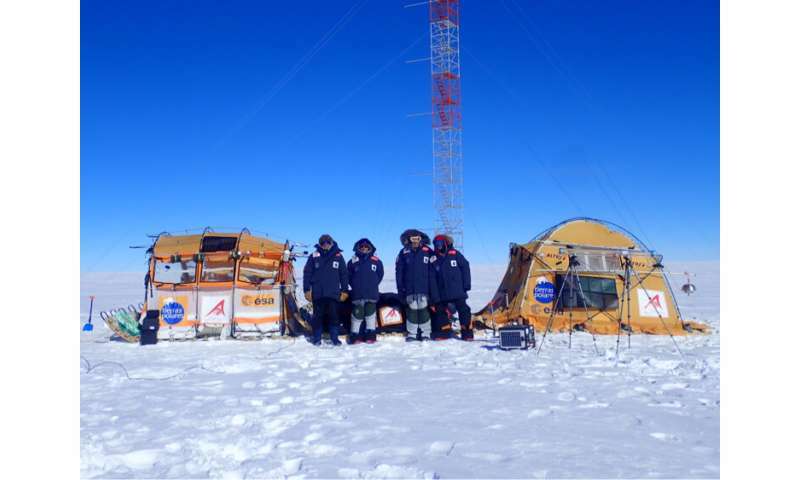 After reaching the high point on 21 January, they are now back at the Russian base. 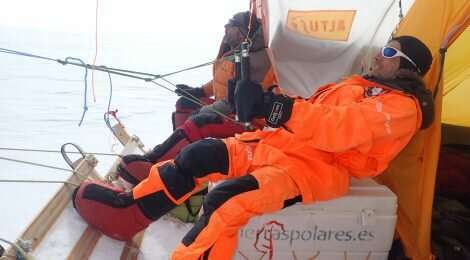 This 'Antarctica Unexplored 2018-2019' expedition, mounted by Spain's Asociación Polar Trineo de Viento, is employing a unique zero-emission vehicle specially designed for polar exploration. 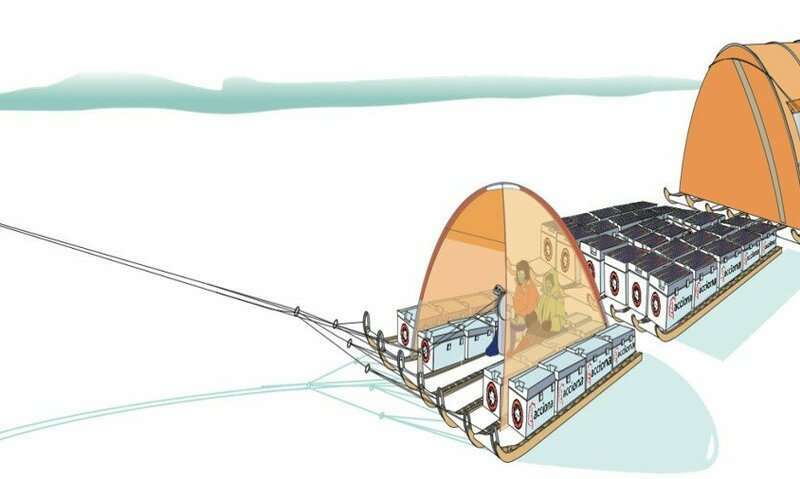 The Inuit WindSled is a multi-part sledge the size of a lorry, complete with mounted tents and solar power panels, pulled through the ice using a mammoth 150 sq. m kite. The Windsled's inventor, Ramón Larramendi, is also the expedition leader: "This marks the first time we've climbed the Fuji Dome in a vehicle driven by the wind – everyone who reached there before relied on motorised vehicles. So this is also the first time we've travelled more than 2,400 km with more than 2,000 kg of cargo using a vehicle that does not pollute the Antarctic continent. Manuel Castillo, system engineer at the Galileo Navigation Science Office, explains: "Once the expedition data are delivered, we will be able to assess Galileo positioning, navigation and timing capabilities at polar latitudes and how they are influenced by space weather events during low solar activity. In particular, we will analyse if the occurrence of coronal holes is correlated with observed ionospheric interference. Coronal holes are open areas in the Sun's outer layer, the corona, that allow the solar wind to leave the Sun and reach Earth, triggering moderate geomagnetic storms. 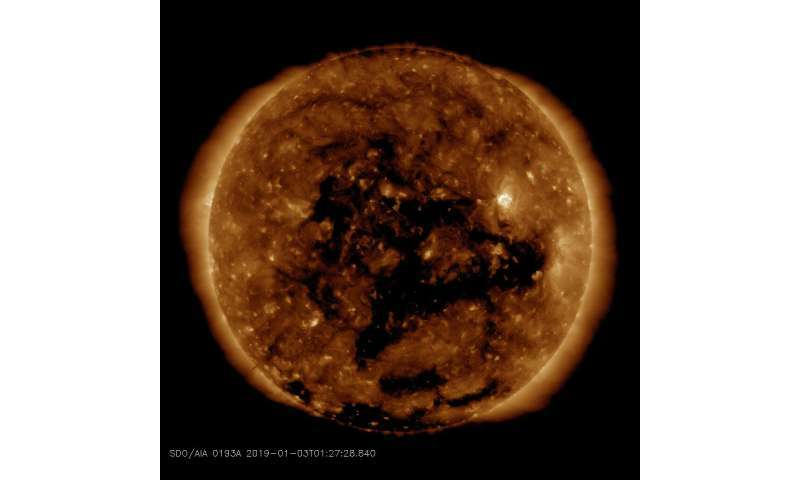 The coronal holes triggering these geomagnetic storms were monitored, meanwhile, by Sun-watching missions such as NASA's Solar Dynamic Observatory, the NASA-ESA SOHO and ESA's Proba-2.